Lela Art Gallery will present a retrospective of the work of Zerihun Yetmegeta in a new exhibition opening Saturday, April 20. 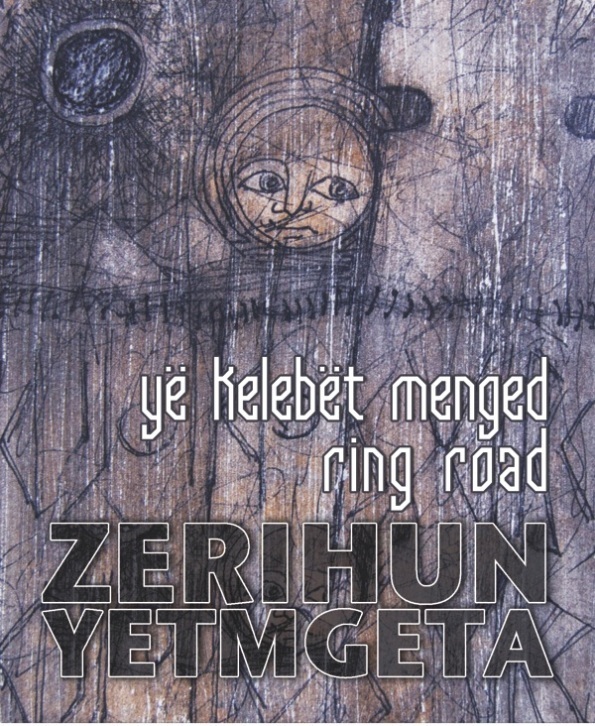 “Yekelebet Menged” (Ring Road) will run through May 12th at LeLa Contemporary art Gallery in Addis Ababa. 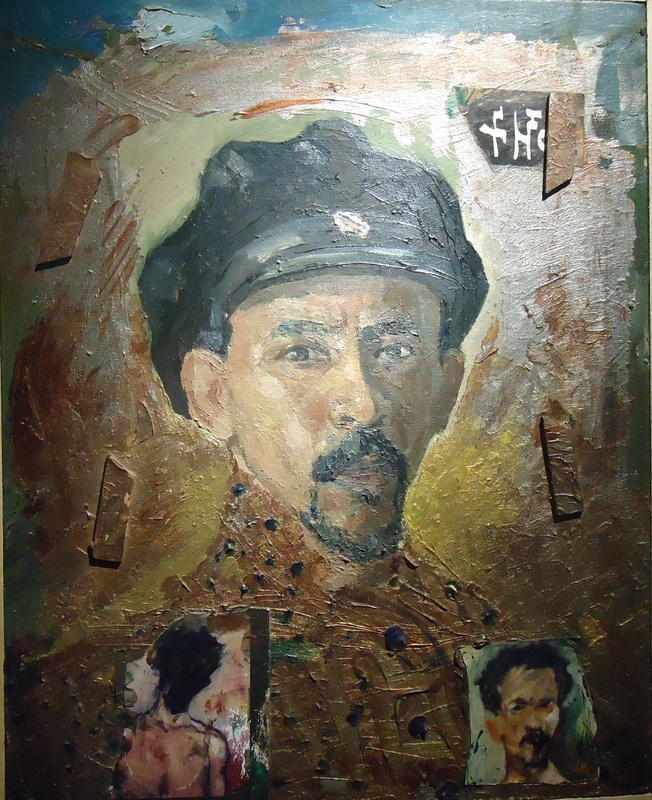 Zerihun is widely recognized as one of the most important and influential artists in contemporary Ethiopian art, in a career that spans almost five decades. “Zerihun explores for the past 50 years the visualization of space by creating an illusion of depth and engages the viewer in the game of seeking recognizable imagery and inventing his own visual chronicle,” an associate curator, Leo Lefort said. The exhibition will explore dominant themes throughout Zerihun’s career, including mythology and fiction, anthropology and truth, illusion, duality, myth, and fairy tale. “The irradiation of color and the absence of a precise narrative,” will be the main feature of the show, according to the curator. For more, go to LeLa Art Gallery website. Talismanic art is a touchstone of traditional Ethiopian art. Drawing on various roots – and with visual similarities to mandalas and calligraphy -the pieces have been used as healing tools, and are also sometimes called magic scrolls. Mezgebu is a direct descendant of this tradition. His father, Gera, was a leading exponent and master of this idiom. Mezgebu, trained in the technique and knowledge by his father, builds on his familial traditions and the larger Ethiopian talismanic tradition in creating his works. A show at LeLa Art Gallery in Addis Ababa presents Mezgebu’s fresh and different approaches to this tradition. Building on tradition while searching for new forms of expression within a traditionally circumscribed form; these pieces are both homage to the genre and a break from it, trying to expose this art form to a wider audience. 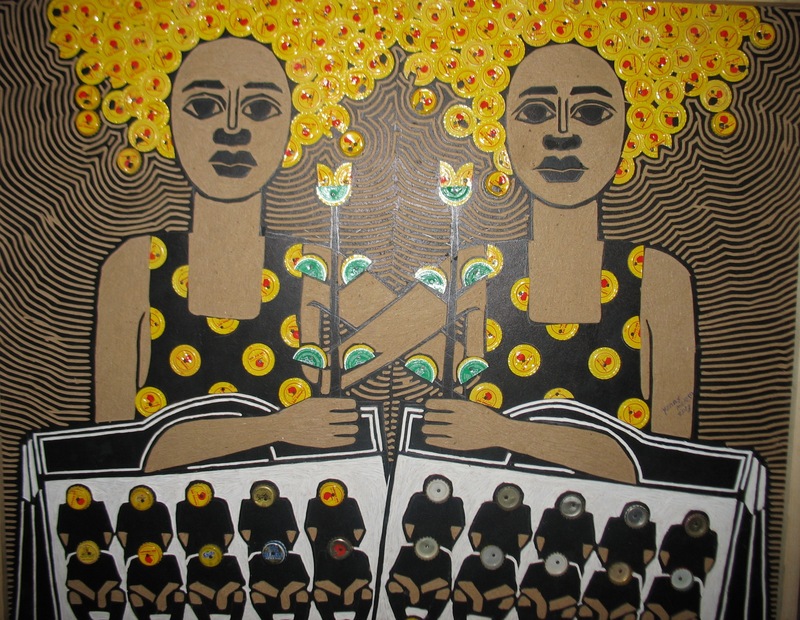 Born in 1980, Mezgebu lives and works in Addis Ababa, Ethiopia. He has exhibited in Ethiopia, France, and Italy. Saturday October 6th 2012, from 3pm onward. Exhibition runs till October 28th 2012. 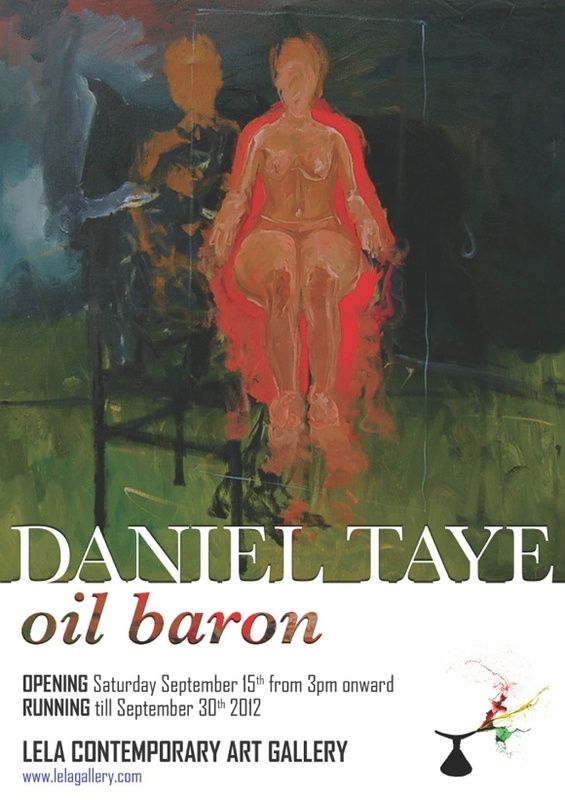 Daniel Taye’s Oil Baron, an exhibit of 25 paintings is on view at the Lela Art Gallery from September 15 through September 30, 2012.Daniel who is best known for his portraits and landscapes is admired by art lovers and fellow artists. The artist who a few years ago reportedly suffered bouts of depression, alcoholism and an inability to paint has been fighting against all his hurdles and working up right to the end. With the help of his girlfriend (whose beautiful portrait he has done for this year’s Art of Ethiopia) who is encouraging him to keep painting, Daniel is getting back his momentum and producing high technical standards like those he did before. An exhibition of paintings by Ethiopian artist Daniel Taye opens to the public this weekend at LeLa Art Gallery. Oil Baron is a collection of new landscape and figure paintings by the Addis-born artist. Graduated with distinction from the painting department of the Addis Ababa Fine Arts School in the mid 80’s, Daniel is known for his evocative landscape and figurative work. He was once named by CNN as the “Van Gogh of Africa…”. Born on 5th January 1968, Daniel grew up closely involved with the Ethiopian Orthodox Church and eventually became deacon. From 1990 until 1993, he worked for the Ministry of Mining on the Gold mine Documentation Project. He has seen his work exhibited in Ethiopia as well as several major cities in the USA, Netherlands. Lilly Sahle, Director of the art gallery says that Daniel’s mind and body work at a very rapid pace. “Intense emotions dwell in his eyes, in his paintings, in his sketches & in this very show featuring mostly recent works, but also allowing the audience to revisit some key pieces from the past ten years,” she says. The exhibit will open Saturday September 15, from 3pm onward at the LeLa Art Gallery located in Armed Forces Hospital area. 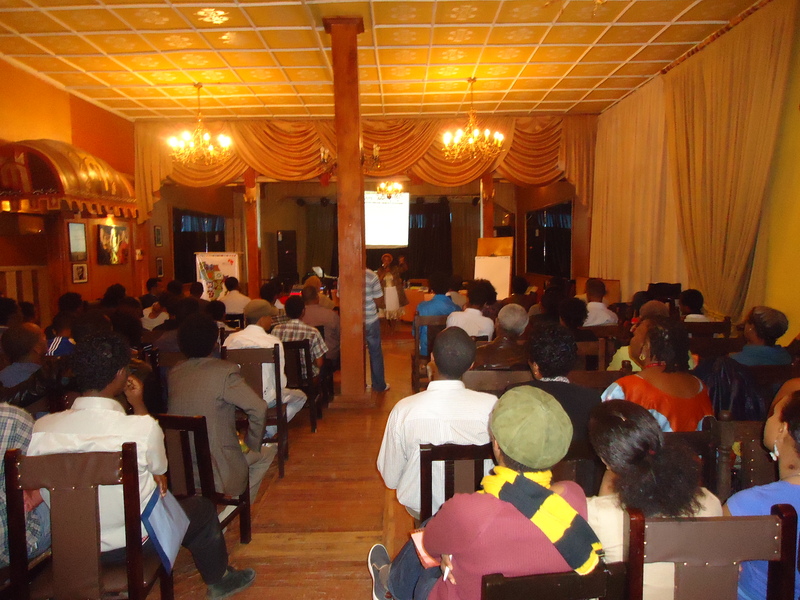 Ethiopian artists converged at Jazz Amba Lounge in Taitu Hotel on the 12th May 2012 to launch the Ethiopia Chapter of Arterial Network. Arterial Network is an African civil society network active in the continent’s creative sector to develop and promote the arts and culture (music, dance, theatre, literature, heritage, film, visual arts, craft, etc.) in their own rights, as well as in a manner that contributes to democracy, human rights and development. 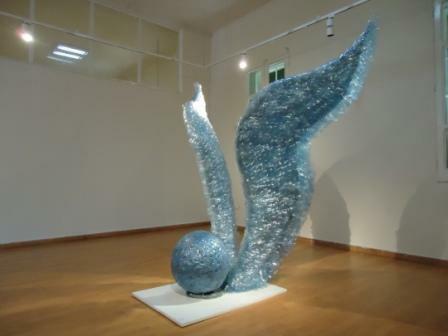 Exploring issue of environmental sustainability in a visual art has been around the corner for some time and one Ethiopian artist found inspiration to create a unique work of art in what some people may consider “garbage”.